You won't need ALL the material on this page. The Examiner expects you to be able to explain how different factors affect obedience and prejudice. The Exam could ask you specifically about CULTURE. The Exam could also ask about "situational factors" (or "environment") in general. Make sure you have a study or theory you can write about for how situations/environments affect obedience and prejudice - but it's up to you which evidence you learn. 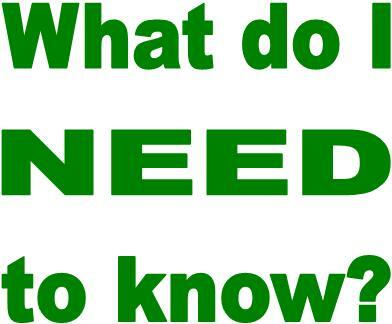 You won't be asked specifically about any of the studies or concepts on this page. As well as individual differences, there are circumstances that affect whether or not people obey. These circumstances are known as situational variables. The Exam might refer to them as "the environment"
How are other people behaving? Are they also obeying or are they encouraging you to rebel? Are they putting pressure on you to discriminate against other groups? What is the location? Is it a prestigious location that impresses you? Is it somewhere your consider to be your territory? What's the background or context? Are the orders in a good cause? Have you previously promised to obey or been paid to obey? Are you in competition with another group over limited resources? Milgram's "Variations" explore a number of situational variables which increase or decrease obedience or else have no effect. In Variation #7, Milgram investigates whether obedience is affected if the authority figure is far away. 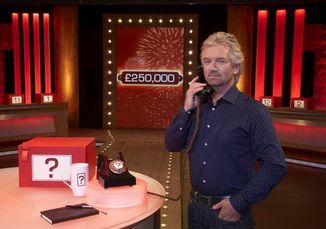 When the Experimenter leaves the room, telephoning in his instructions like the Banker in Deal Or No Deal, obedience goes down from 65% (baseline) to 22.5%. In Variation #10, Milgram compares obedience at prestigious Yale University to obedience in a shabby downtown office, with the Experimenter claiming to work for a private research company. Obedience goes down from 65% (baseline) to 45.5%. This is a drop, but not as big as in Variation #7. Milgram concludes that the location is much less important than the physical presence of the authority figure. Lots of other researchers have investigated the effects of situational variables on obedience. Charles Hofling (1966) changed the obedience study by testing real nurses who were supervising a hospital ward during a night shift. 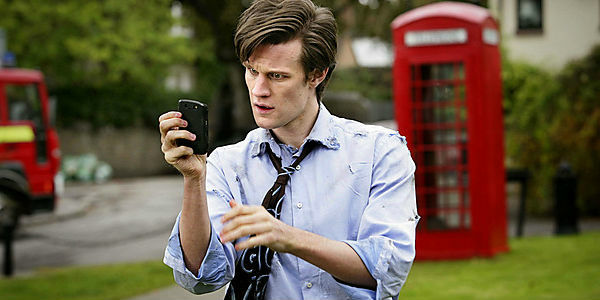 An actor pretending to be "Doctor Smith from the Psychiatric Department" phoned the ward and ordered the nurse to give a patient there a dose of a drug from the medicine cabinet. A phone call from "Doctor Smith"
Giving a patient a drug without the doctor being physically present was against the hospital's rules but, more importantly, the dosage ordered by Doctor Smith was 4 times the safe limit. A real doctor was on hand to intervene and stop the nurse from actually giving the patient the drug. 21 out of the 22 nurses obeyed the unknown doctor. When Hofling asked other nurses by questionnaire whether they would break hospital rules in this way, 31 out of 33 said they wouldn't. This goes to show that, when people are alone with no one else to turn to, they tend to be more obedient. 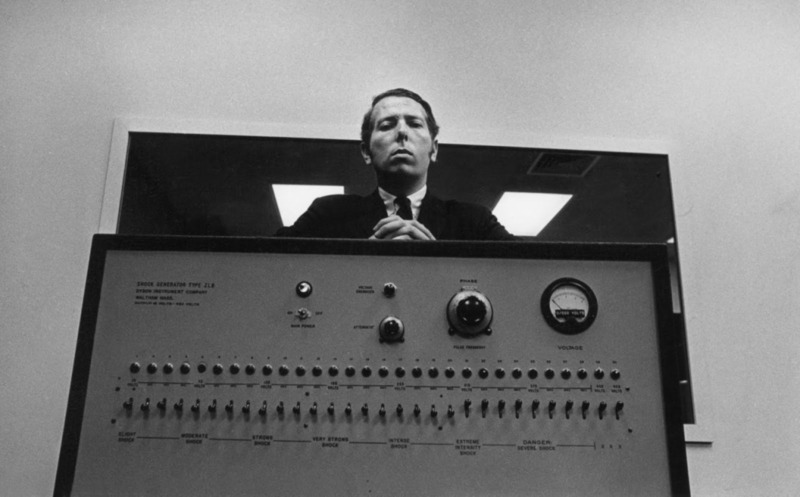 Milgram also found that obedience decreased when there were other participants present: in Variation #17, with two other confederates pretending to be participants who refused to go past 150V, the obedience dropped from 65% (baseline, isolated condition) to 10%. Sherif and Tajfel both propose that people easily fall into an in-group/out-group mentality, but there are situational factors that make this more likely. This big difference between Realistic Conflict Theory and Social Identity Theory is the importance of competition. Nazi soldiers impose a boycott of Jewish businesses. The Nazis presented Jews as in competition with the German people for wealth. For RCT, there needs to be a competition over resources (real or just perceived) to turn in-group/out-group mentality into prejudice and discrimination. This can be a competition over jobs, land, popularity - anything, so long as it doesn't look like there's enough to go round. Sherif's "Robbers Cave" study shows the effect of competition on two groups of boys - and over replacing competition with cooperation at the end. According to SIT, there's no need for competition. Just recognising that someone is from an out-group is enough - all by itself! - to trigger prejudice and discrimination will follow. Henri Tajfel (1970) carried out his "minimal group studies" on Bristol schoolboys. He split them into meaningless groups (based on their taste in modern art!) and gave them a task where they could allocate points to their group or other groups, either fairly or unfairly. He showed that the boys would always allocate the points unfairly if it was a choice between awarding them to an in-group member and an out-group member - though they don't know who these people were. This shows that even a minimal group (a group you don't care about belonging to) triggers discrimination. Tajfel was a Polish Jew whose family were sent to concentration camps by the Nazis. Tajfel believed that the Holocaust was about more than competition, because his family were poor, not rich. "Charisma" is influence over other people's emotions. A "charismatic leader" is someone other people look up to and want to follow. Charismatic leaders can promote prejudice and discrimination or they can oppose it. Albert Bandura explains the influence of charismatic leaders through Social Learning Theory. Charismatic leaders are role models because they have status in people's eyes and people identify with them. If the role model shows or encourages discrimination, then people with imitate this in the same way that they imitate aggression in Bandura's experiments. 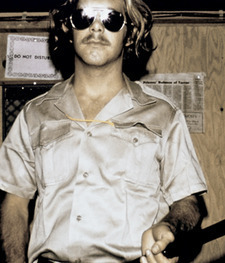 In the famous Stanford Prison Experiment (1971), Philip Zimbardo turned the basement of Stanford University Psychology Department into a simulated prison and recruited students to play the roles of prisoners and guards, with himself as "Governor". The study was supposed to run for a month but was cancelled after 6 days because the guards became so hostile towards the prisoners, while the prisoners suffered breakdowns. The guards became authoritarian - the power "went to their heads" and they psychologically tortured the prisoners. Zimbardo himself got "sucked into" his role as Governor. It was his fiancee, Christina Maslach, whose shocked reaction made him realise what he was encouraging was wrong. Zimbardo calls what happened to him and the guards "the pathology of power" - power becoming a sickness that distorts your thinking. This happens when people internalise their roles; they see themselves as "guards" and other people as "prisoners" rather than as human beings. For Zimbardo, the pathology of power explains a lot of discrimination, when one group has power over another group. Interestingly, one of the actual guard participants disagrees with Zimbardo's assessment. Dave Eshelman (left) was a "charismatic leader" who encouraged the other guards to act like the cruel bullies in his favourite movie. The other guards looked up to him and nicknamed him "John Wayne" (the name of a popular actor known for 'hard man' roles). Dispositions are the opposite of situations. They are facts about you which remain true all the time, even the your situation may change. They include things like your cultural beliefs, your age and gender and your personality. They are also known as individual differences. How much of our behaviour is due to situations and how much to dispositions is a big debate in Social Psychology. The social psychologists of the 1950s, '60s and '70s (Sherif, Milgram, Zimbardo) tended to rate situations as more important than dispositions. Psychologists today think it is a blend of both. This is an example of Psychology changing over time. Milgram's obedience studies were all on Americans. America is a Western culture which values individualism particularly highly; it is also a democratic culture with relatively little deference (although American culture in the 1960s was more deferential than it is today). Furthermore, face-saving or shame does not play a big part in American culture. Because of this, we might expect obedience levels to be higher in many other cultures, but perhaps lower in cultures even less deferential and even more individualistic than the USA. Cross-cultural studies investigate this by replicating American studies like Milgram's in other countries and comparing the results to Milgram's original (baseline) findings. Beware: not all of these studies were full replications. For example, Meeus & Raaijmakers (1986) only ordered their Dutch participants to insult the confederate, not shock him. When viewed cross-culturally, the American participants seem to have quite low levels of obedience. Thomas Blass, a psychologist and Holocaust survivor who has written books on Milgram, calculates the mean obedience for US studies to be 61% and the rest of the world to be 66% (Blass, 2002). Kilham & Mann (1974) stands out, with an overall obedience level among Australians of 28%, less than half of Milgram's baseline 65%. Are the Australians really fierce individualists who don't defer to authority? The cross-cultural study worth looking at in detail comes from Jordan in the 1970s. This study was carried out at the University of Jordan in Amman. It followed a year after the 1977 study on children and recruited 48 university students, 24 male and 24 female. 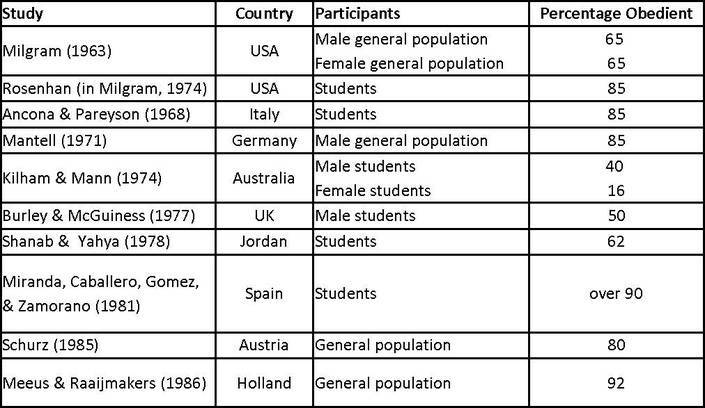 However, 12.5% of the participants in the Control Group (free to choose) also went to 450V! 12.5% of participants who received NO ORDERS still choose to shock a fellow human being unconscious and (for all they knew) to death. Shanab & Yahya regard their results as supporting Milgram's Agency Theory and the idea that obedience is universal (found in every culture); they don't comment on the oddity of the over-obedient Controls. Of course, Milgram didn't have a Control Group. Perhaps, if he had given his participants the choice, 1 in 8 Americans would also have taken it upon themselves to shock an innocent man to death. This qualitative data contrasts with the shaking, groaning, hysterical laughter and fainting in Milgram's 1963 study. It strengthens the impression that there are some cultural differences in obedience. Teachers normally think school children are obedient enough. Schools use psychology to bring about obedience. School uniform is a good way of deindividuating students, which should make them more obedient (according to Zimbardo, 1968). Of course, this strategy can backfire. There is the danger that deindividuated students will end up obeying the wrong authority figures, like bullies and trouble-makers. Isolation also increases obedience, so separating students from their friends and sitting them far apart helps (and small class sizes make it easier to do this). This also makes it easier for the teacher to be physically close to students - especially naughty ones who like to sit at the back - because distance from the authority figure increases disobedience. Prestigious settings improve obedience. Some teachers put symbols of authority on or near their desks - flags, awards, certificates and so on. Teachers try to look prestigious, with suits, ties and formal dress codes. Milgram's Variations support this strategy, although Milgram is clear that being physically nearby is more important for an authority figure than just looking physically imposing. 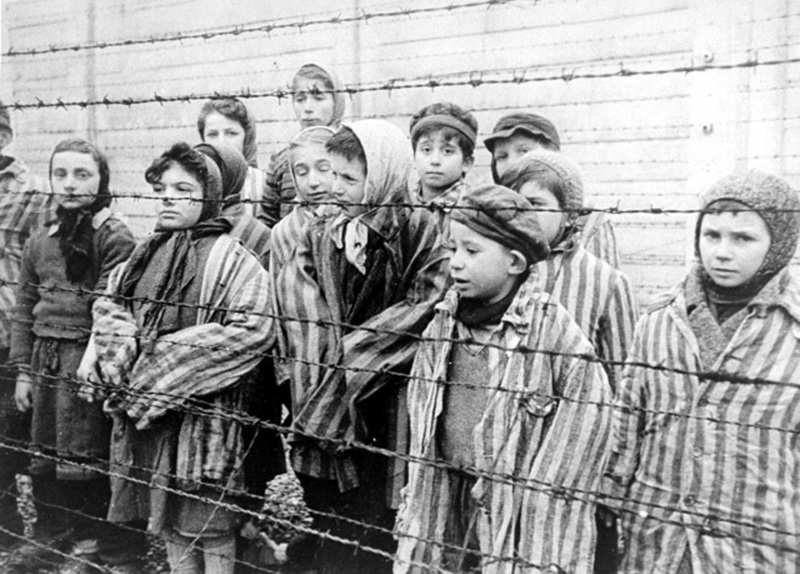 The aftermath of the Holocaust had a huge impact on Social Psychology in the 1950s and '60s. It raised questions about human goodness and decency. A simplistic response at the time was that "the Germans are different!" This is the idea that there is something particularly nasty about the German people's personalities - a tendency to follow orders blindly, an intolerant attitude towards followers, a sense of their own superiority. If the Germans really were different, then, although the genocide of 6 million Jews might happen in Germany, it wouldn't happen anywhere else. Social psychologists like Stanley Milgram were deeply suspicious of the "Germans are different" hypothesis. America at that time was deeply divided along racial lines with segregation of black and white citizens in the southern States, which the Civil Rights Movement was campaigning to end. The behaviour of white racists reminded Milgram very much of German Nazis. Milgram's studies challenged the idea of a dispositional explanation for genocide. Things like the Holocaust aren't down to a flaw in anyone's personality. The Holocaust could happen anywhere, in any country, if the situation was right. 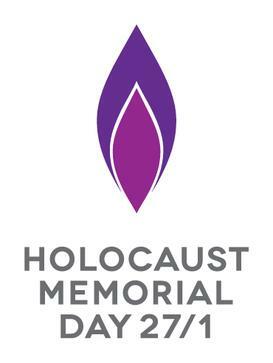 Holocaust Memorial Day (HMD) is celebrated on the 27th of January - the date of the liberation of the Auschwitz concentration camp in 1945. This memorial day began in the UK in 2001; it had started in Germany in 1996 and was recognised by the United Nations in 2005. HMD is based on Milgram's insight into obedience and Tajfel's conclusions about discrimination. Because genocide can happen anywhere, it's important for all countries - not just Germany - to remember this event and learn from it. These factors in obedience are supported by a lot of research that (with a few exceptions) produce very consistent results. Milgram's findings on individual differences like personality and gender and situational variables like setting and isolation are backed up by research from Shanab & Yahya and Hofling. These findings are also backed up by human experience. For centuries before there was Psychology, humans realised how to increase the respect for authority. Politics is usually accompanied by symbols of authority (crowns, flags) and prestigious settings (thrones, palaces). Not all of this research is consistent. Shanab & Yahya (1978) showed that Jordanian participants were just as obedient as Milgram's American participants - but (perhaps without meaning to) they also showed that 1/8 participants were willing to kill without any authority figure at all! Since almost all the research into obedience is from America and Europe, there need to be more replications in Africa and Asia to produce valid cross-cultural findings. However, the ethical problems with Milgram's procedures and the spread of rigorous Ethical Codes in Psychology make it unlikely there will be many more obedience studies in the future. All of these ideas are based on lab experiments (or a field experiment in the case of Sherif's "Robbers Cave" study) with small numbers of participants, many of whom are students or children. Real genocide is much more complex than this. The Holocaust happened in a Germany that was poor and humiliated after World War I and Nazi propaganda drew upon 2,000 years of discrimination against Jews by Christians. This is not the sort of thing that can be recreated in an afternoon in a laboratory or using children. Holocaust Memorial Day is a good example of social psychology put into practice. Although HMD is inspired by the genocide of 6 million Jews in the 1940s, it generalises this experience to massacres and genocides today. It is based on the recognition that the situational factors that produced the Holocaust could reoccur in any country. The big debate in obedience is between those who prefer dispositional explanations (like Theodor Adorno and his Authoritarian Personality) and those who prefer situational explanations (like Milgram and Tajfel). The real answer is probably "a bit of both". This mirrors the Nature/Nurture Debate in psychology, because we learn to be obedient or discriminate through our environment, but some of us are probably born with a greater or lesser predisposition towards following orders or feeling prejudice. Most of the behaviour studied by researchers into obedience can also be explained as intergroup conflict. 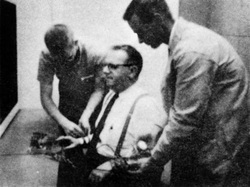 For example, the participants in Milgram's studies saw themselves as part of the same group as the Experimenter (they were assisting him and sat in the same room as him) and viewed Mr Wallace the Learner as an "outgroup member" (he sat in a different room and did not receive any attention from the Experimenter). The participants were less likely to shock the Learner if the intergroup identity was less clear; for example, if the Experimenter left the room it didn't feel as if they were part of his group. Situational factors are things like your environment or the people around you who might make you more or less obedient. One situational factor is the proximity of an authority figure. Milgram's Variation 7 shows that people are more obedient with the authority figure nearby. Location is a less important factor. In Variation 10, the setting was a run-down office and obedience dropped but not by as much. Another factor is culture. Shanab & Yahya replicated Milgram but found that 1/8 participants were prepared to "kill" the Learner without receiving any orders. Situational factors are backed up by lab experiments and also by common sense (face validity). 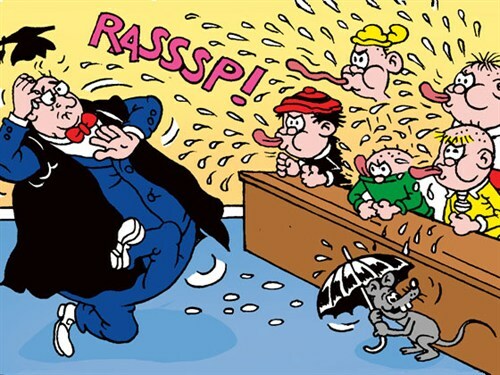 School children are more likely to misbehave while the teacher is away. These factors are also backed up by history, because the Holocaust seems to be a case of people blindly obeying orders from the Nazis. However, real life events like the Holocaust are complex and many years or centuries in the making so they cannot be replicated realistically in a laboratory in an afternoon. These explanations also ignore dispositional explanations, like the Authoritarian Personality who likes following orders. Real life obedience is probably due to a mixture of situational and dispositional factors, which would be why some of Milgram's original participants disobeyed. Notice that for a 8-mark answer you don’t have to include everything about factors in obedience. But I have tried to make the two halves – Summary and Evaluation– evenly balanced.